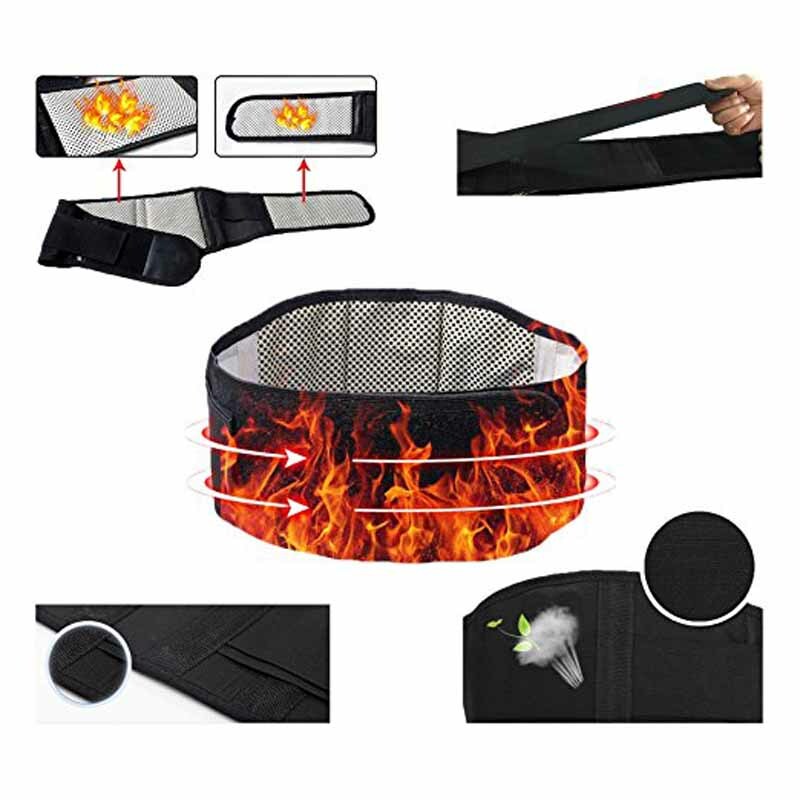 Bio-Magnetic Therapy Self-Heating Waist Belt is designed to prevent injuries and relief lower back-pain, by restricting join movements, reducing skin friction and absorbing the impact energy. 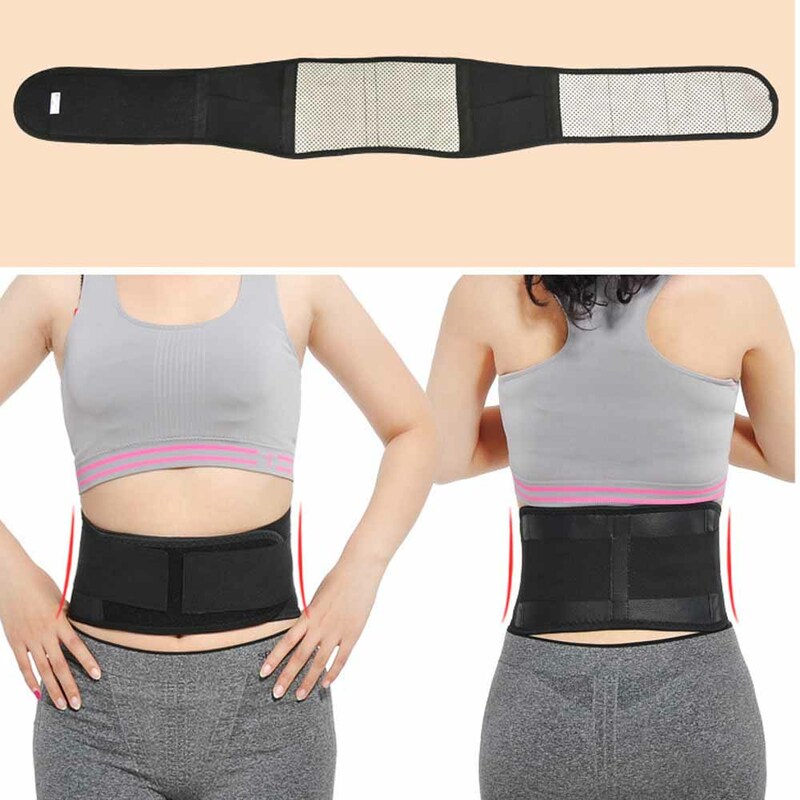 This belt slowly warms the lower back and waist, increasing blood flow, relaxing muscles and soothing pain. No need electricity or Microwave, provides natural heat therapy for You. PAIN RELIEF - Promotes blood circulation, improves metabolism, eases pain and helps keep correct posture. BIO-MAGNETS - 14 magnets work with Nano Infrared heat technology for a long lasting relief, supporting Your lumbar area and joint strain. COMFORTABLE- Vented, breathable elastic side panels. Adjustable to Your liking and cling to Your form for a comfortable, lightweight use. Not applicable to pregnant women and children. Not applicable to people fitted with heart pacemaker, metal stents and other electronic devices inside body. Not applicable to people with acute soft tissue impairment. People with serious trauma, high blood pressure, please use with caution under the guidance of doctors. Stop using if You have fever or damaged skin.